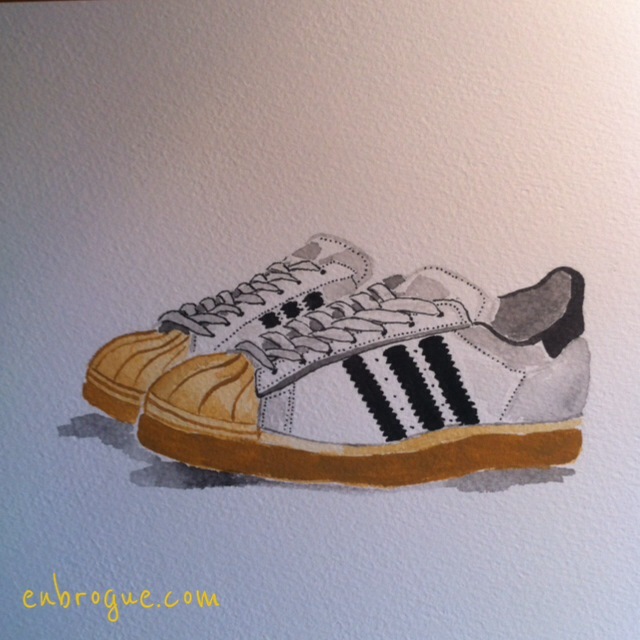 I’ve been doing a lot of illustrating lately, and my most recent painting is of my favourite ever trainers: these canvas adidas Superstars with gum shell toes and soles. I loved them so much that when I first bought them aged 19, I slept with them next to my pillow so they would be the first thing I saw when I woke up in the morning. How sad?! Sadly they actually started to fall apart because I wore them so much, but I do still own them. They are packed away in my attic along with other sentimental pairs of shoes I can’t bear to be parted from. Here I am wearing them in 1996. 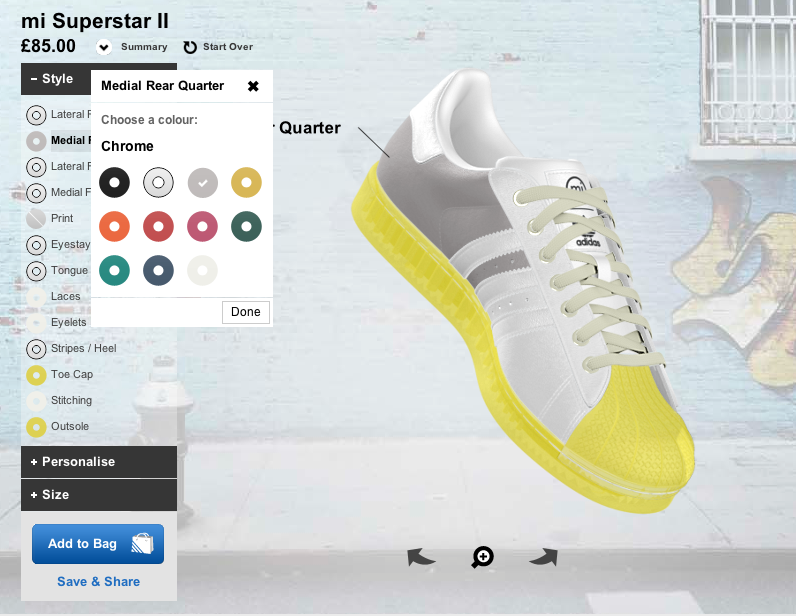 I’ve been thinking a lot about getting a new pair since visiting The Design Museum recently, where there is a display about the customisation that you can now do with adidas Superstars (or Gazelles or whatever takes your fancy). It was brilliant to see the shoes broken down into all their separate components, and really made me appreciate the design of these trainers that I’ve loved for so many years. 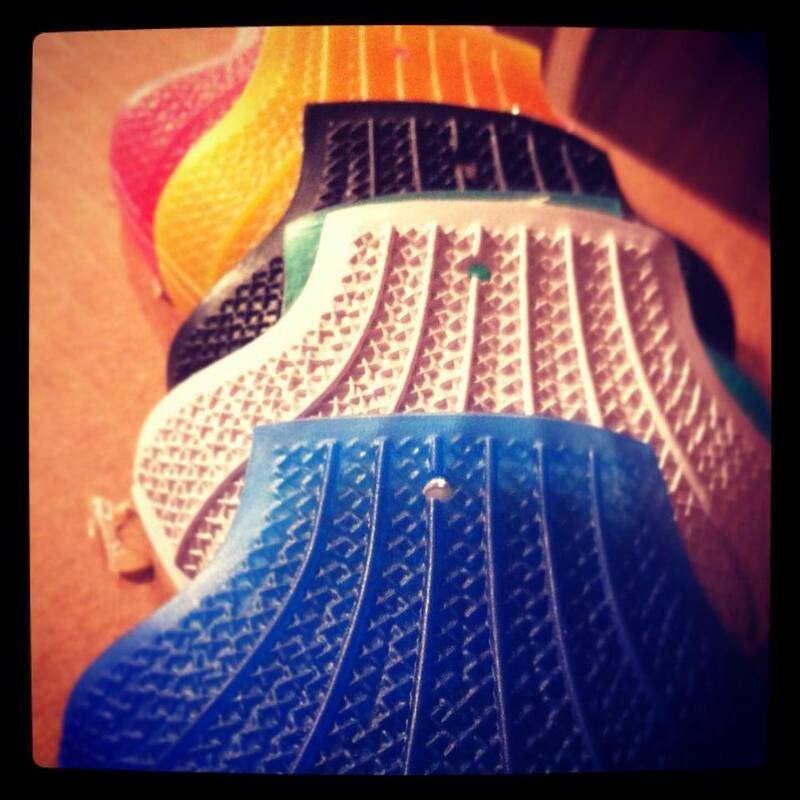 I’m having a play with customising a new pair right now…what do you reckon to grey shoes with yellow toes? I love the combination of yellow and grey, I say go for it! 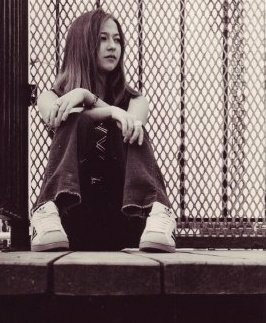 Oh I loved my shell toes (what we called them in Canada) – I think I also had a pair in 1996. They were brilliant. Yeah I called them shell toes too. I was just trying to be proper!